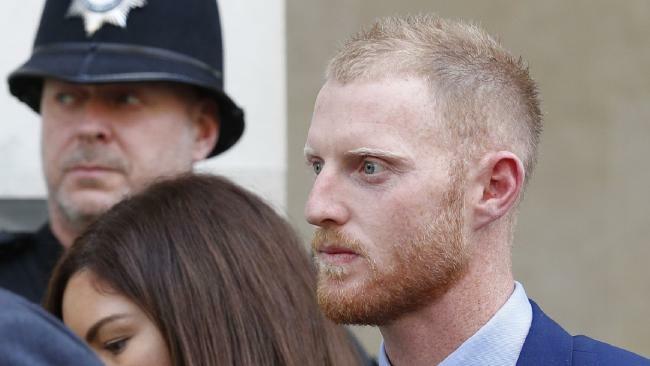 ENGLAND cricket player Ben Stokes has been found not guilty for his role in a street fight. Stokes was on trial for knocking out two men in the southwest English city of Bristol last September. Stokes said he was acting in self-defence. As the verdicts were delivered at Bristol Crown Court on Tuesday, Stokes closed his eyes and then looked up. 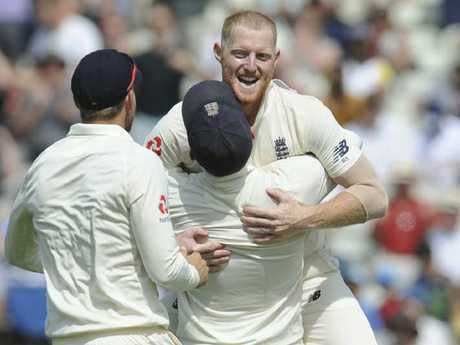 Stokes is back in England's Test reckoning against India but must still wait to discover any further consequences following his affray acquittal. England added their premier all-rounder to a squad of 13 for the third Test, which starts on Saturday, after he was cleared in court. Stokes was the most expensive overseas recruit in the annual player auction for the Indian Premier League this year. The Rajasthan Royals paid $1.95 million for him to play in the six-week Twenty20 competition. The criminal case led to Stokes missing some of England's biggest matches, including the Ashes tour of Australia and the second Test against India last week. Despite the ruling, relations inside the England dressing room could be tested after Stokes' defence lawyer said in court that teammate Alex Hales was responsible for some of the injuries his client was accused of inflicting. One-day international star Hales was not charged by Bristol police over the street brawl last year despite video evidence appearing to show the batsman kicking and stomping the head of another man. There would appear to be an element of dissatisfaction inside Stokes' camp that he had to carry the can for a fight that teammate Hales was also involved in. Stokes has lost sponsors and was suspended for the entire Ashes campaign, while Hales was back in England colours by January earlier this year. "This is not part of me seeking to blame someone else," Stokes' lawyer said in his final address to the court. "You saw the footage. You will see Mr Hales on one occasion appearing to kick. "Think about kicks and stamps. There's no evidence before you - and I'm not suggesting for one minute that you should guess - but you can infer from what you know of injuries that were sustained. "Sustained perhaps by Alex Hales's intervention? Blows, kicks and/or stamps to the head area. Stokes and Hales' problems aren't necessarily over. The England and Wales Cricket Board confirmed within two hours of the end of the case that the Cricket Discipline Commission investigation could reconvene to address the behaviour of the pair. 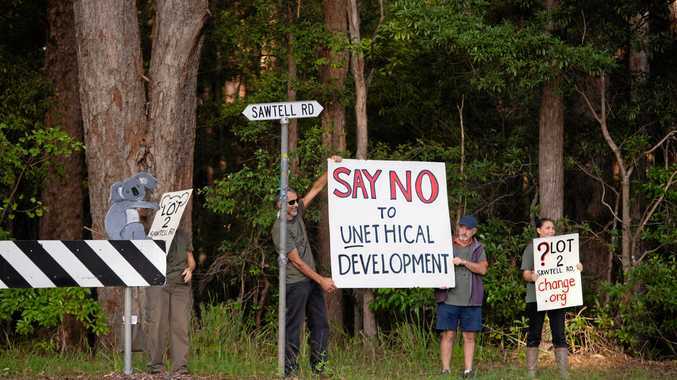 That process was halted 11 months ago while criminal proceedings took precedence. The ECB clarified the latest situation in its statement soon after the jury unanimously cleared Stokes and co-defendant Ryan Ali over events when a fight broke out in a street close to a Bristol nightclub. It read: "Now that the legal proceedings have concluded, the disciplinary process for Ben Stokes and Alex Hales can be scheduled by the Cricket Discipline Commission … considerable detail has been heard in this week-long court case and, in due course, there will be a range of matters for the board to fully consider." Stokes and Hales are both seen as key components in England's bid to win next year's World Cup on home soil. Former national captain Michael Vaughan said Stokes should be welcomed back into the Test team after being cleared of affray. Vaughan, who has forged a successful career as a pundit since retiring from the crease, said the 27-year-old New Zealand-born star had been punished enough over the past 11 months. "I personally think now he has been proven to be not guilty he should be allowed to play," Vaughan said. Kai Barry and William O'Connor, the gay couple who said Stokes stepped in to defend them from homophobic abuse outside the club, did not testify in court but told ITV News that Stokes had earned their undying gratitude. "When I realised who he was, fair play, 'cos obviously he (Stokes) put his career on the line for someone he never knew," Barry said. "I'd say thank you definitely thank you for being there sorry for all the drama we landed you in, but a lot of appreciation." Stokes' England teammate Jonny Bairstow, one of several players who were out with Stokes earlier that evening, said it was great news on both a personal and sporting front. "I am really happy," he told Sky Sports. "It has been a long 10 months for him and his family. "Hopefully we will see him back in an England shirt soon."